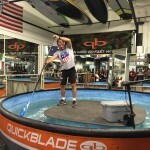 Performance Paddling presents Taco Tuesday’s at the Quickblade Flume. 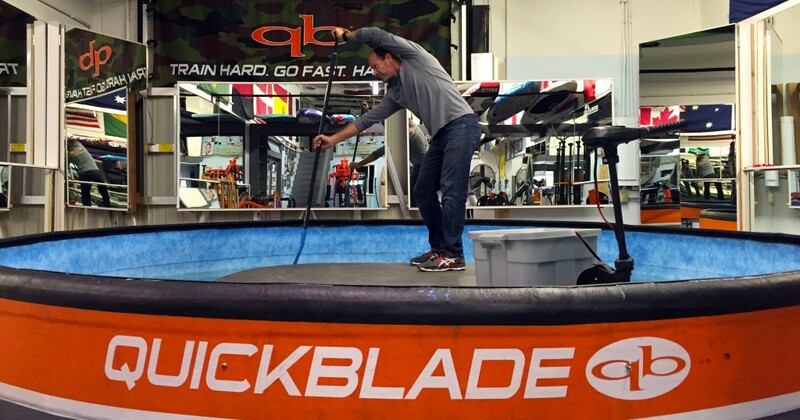 A new collaboration with Quickblade’s Jimmy Terrell and Anthony Vela. 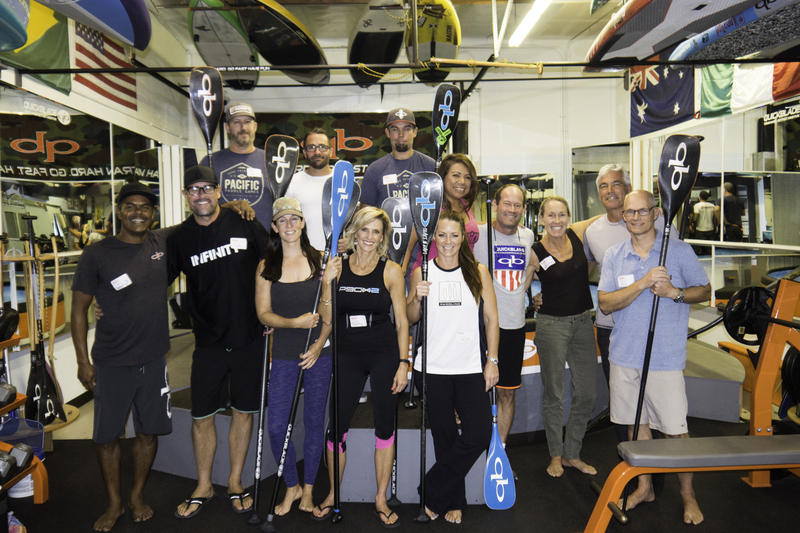 A unique evening of paddling, fun, food, and stories. 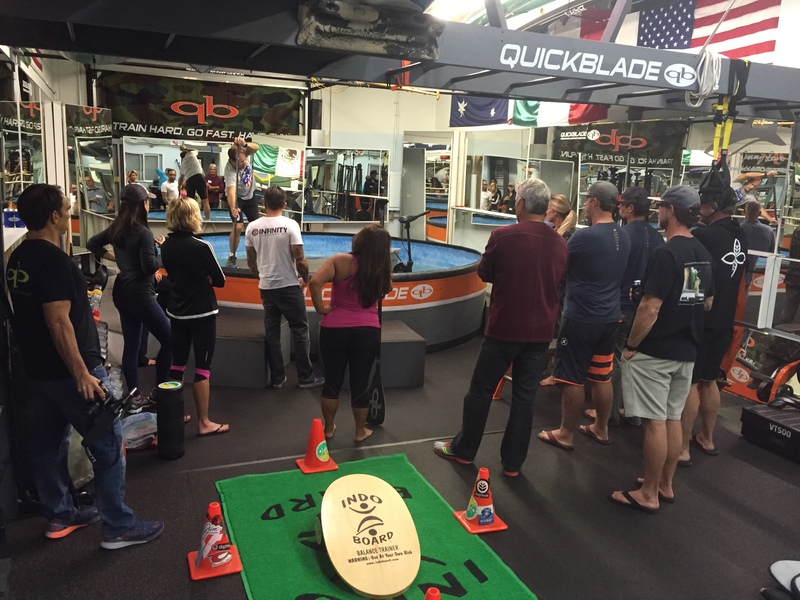 The first one sold out in less than a day! 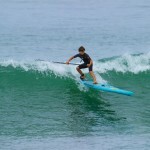 The evening started with an introduction to the Flume by Jimmy. 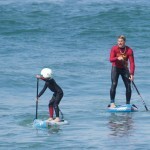 Then he walked everyone though what to expect when paddling in the Flume. 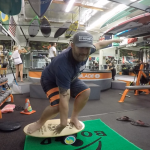 Followed by some insightful tips on technique. 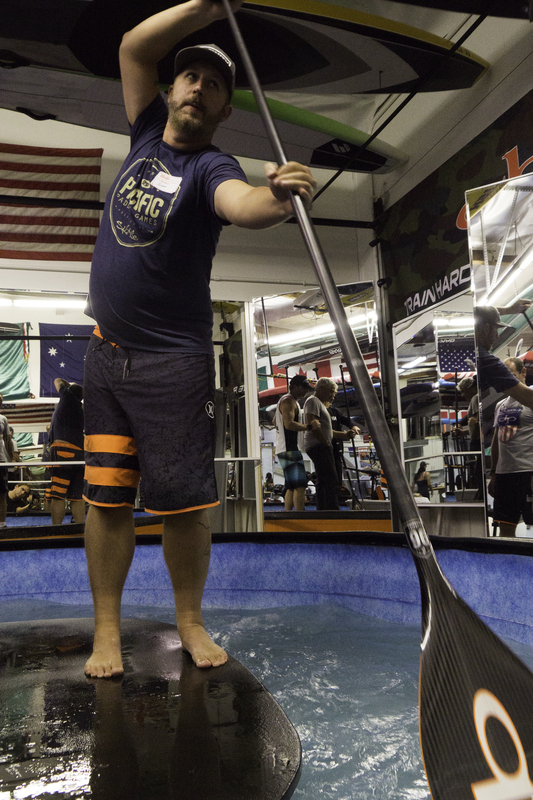 Everyone had a chance to paddle in the Flume with Jimmy, watching every angle of their stroke, and getting immediate feedback. 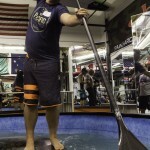 One of the beautiful things about the Flume is that you can make adjustments and see them right away. 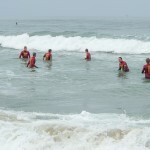 This training tool is an invaluable resource in itself. 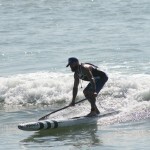 Anthony Vea goes through some Indo Board exercises. 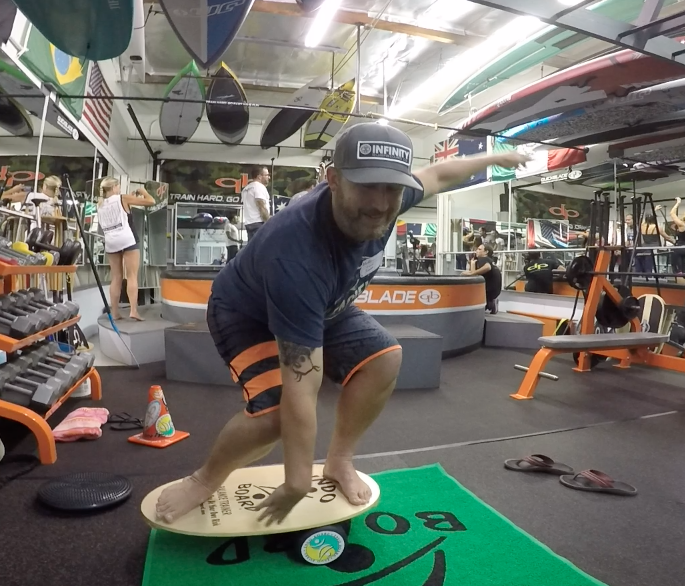 The Indo Board is an extremely functional tool that can help with balance in all sports. 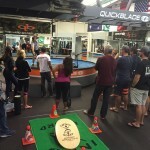 During this portion of the evening Anthony guided participants through several lower and upper body exercises. 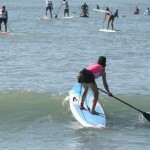 As well as several balancing, stretching, and fun exercises. 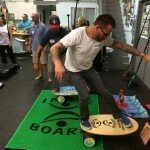 Part of the evening included eating tacos while hanging out with Jimmy, Anthony, and the other participants. 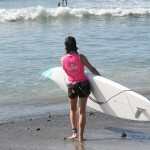 Everyone was also treated to some delicious Ty Ku Sake. 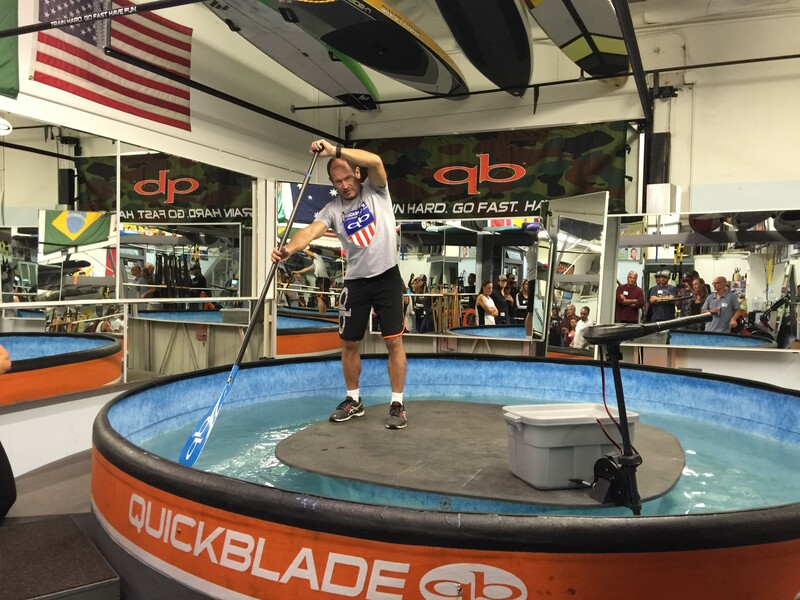 Thanks to everyone who came to the 1st Taco Tuesday at the Quickblade Flume. 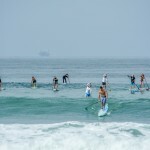 There are only 12 spaces per night! 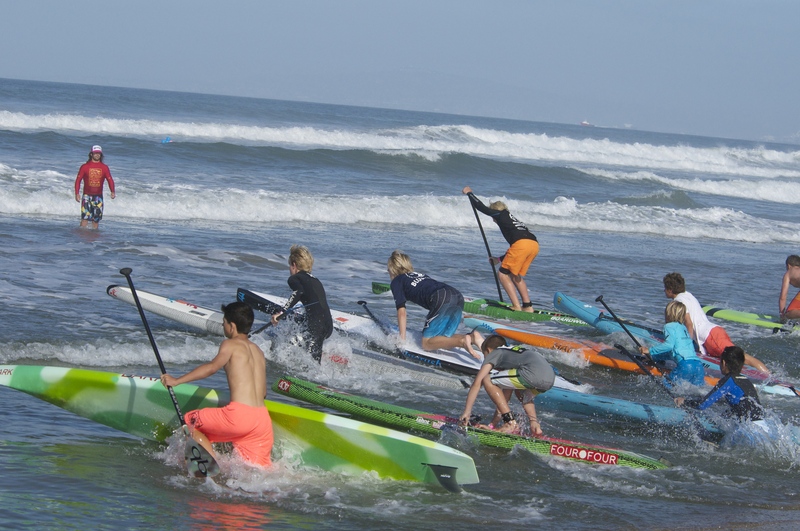 The Performance Paddling Training Club had a huge presence at the Inaugural Salt Life Pacific Paddle Games presented by SUP Magazine. 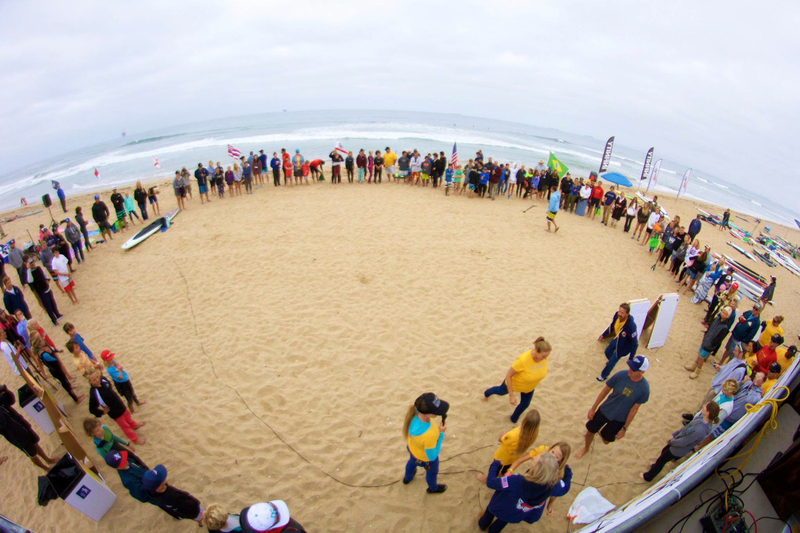 There were about twenty members that competed in the groundbreaking event, and another dozen who helped volunteer. 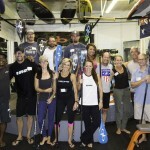 Thank you to the event sponsors for making this event happen. 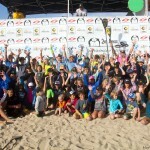 It was an incredible event for the future of our sport, and extremely exciting. 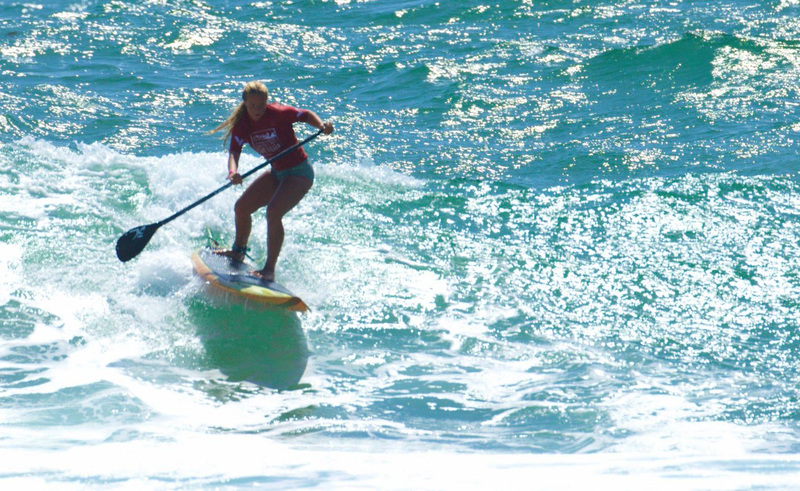 In case you missed it completely, one of the best parts, you can still go back and watch the webcast, which was one of finest ever produced in stand up paddling. 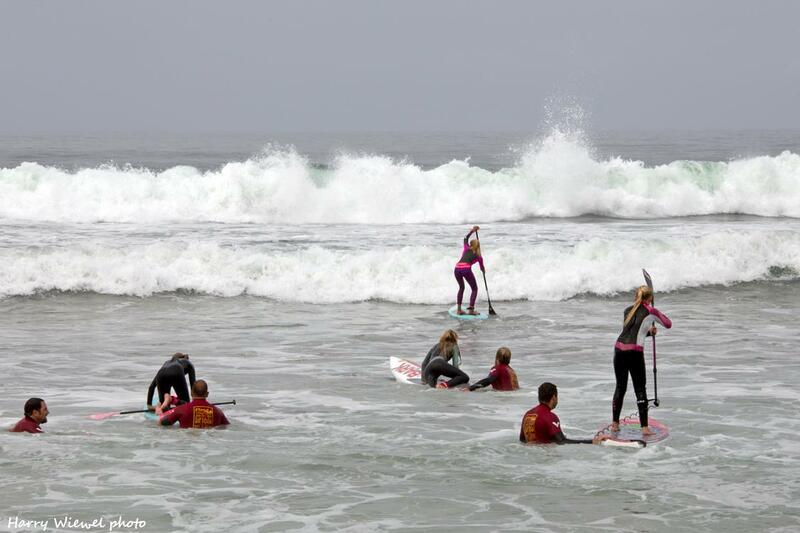 There are so many stories it would be difficult to tell them all. 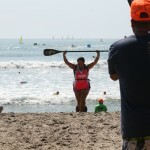 From Kelly’s first race ever, to Scott’s broken handle, to Susie pushing her body past the breaking point, to Kristen’s two overall wins, to Jack’s sprint finishes. 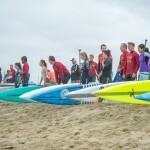 Congrats to everyone who was in any way part of this incredible event. 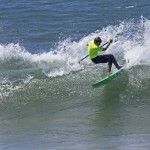 Already looking forward to next year. 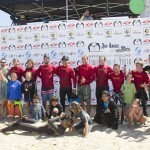 Thanks Salt Life, Sup Magazine, Olukai, GoPro, West Marine, California State Parks, Dos Equis, and all of the sponsors. 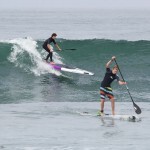 Performance Paddling SUP Fiesta 2015 from Fin Film Company on Vimeo. 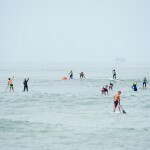 With a building south swell approaching, the nerves of youth sup athletes from all over the world were feeling the pressure and anticipation of what the ocean would have in store for them, on the morning of May 3rd. 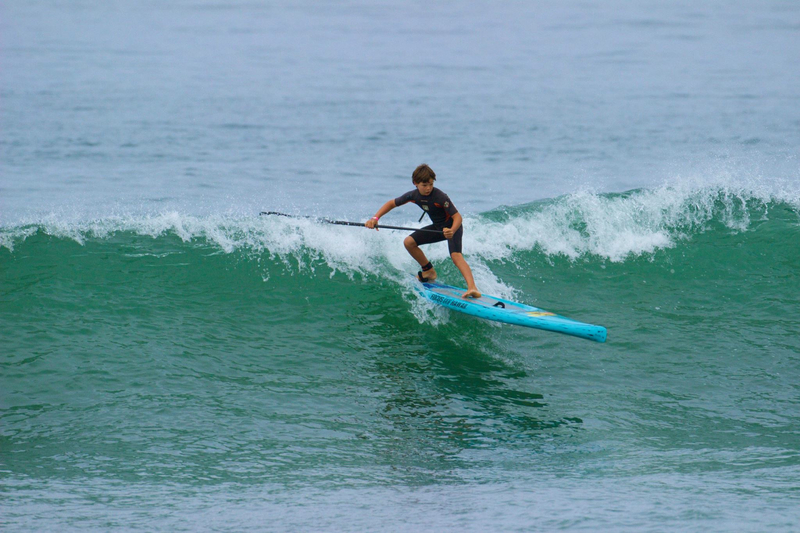 This rising swell would turn out to be the biggest south swell since last summers Hurricane Marie, coming just in time to meet the worlds biggest youth only standup paddle event. 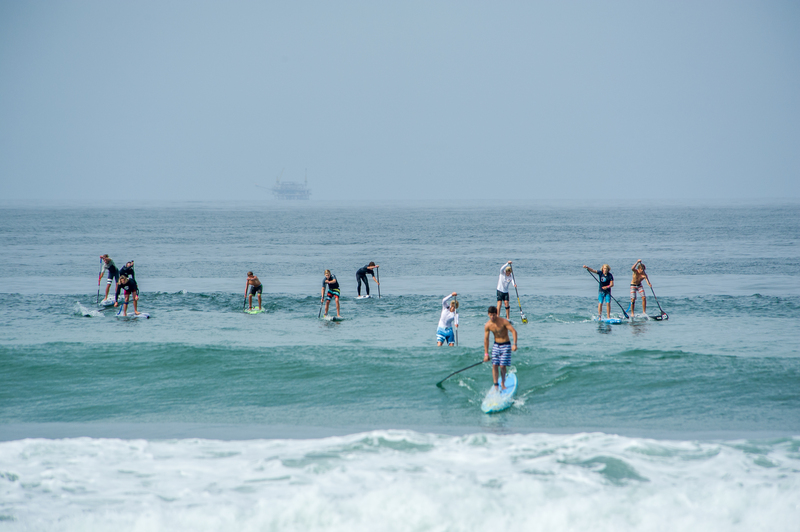 Once again the ocean provided a beautiful arena for the best 17 & under standup paddle athletes to display their skill, talent, and passion. 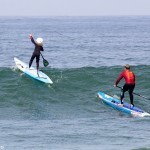 After Candice Appleby ceremoniously blessed the event, her god sisters Constance & Elise Brown sang our Nation’s Anthem. 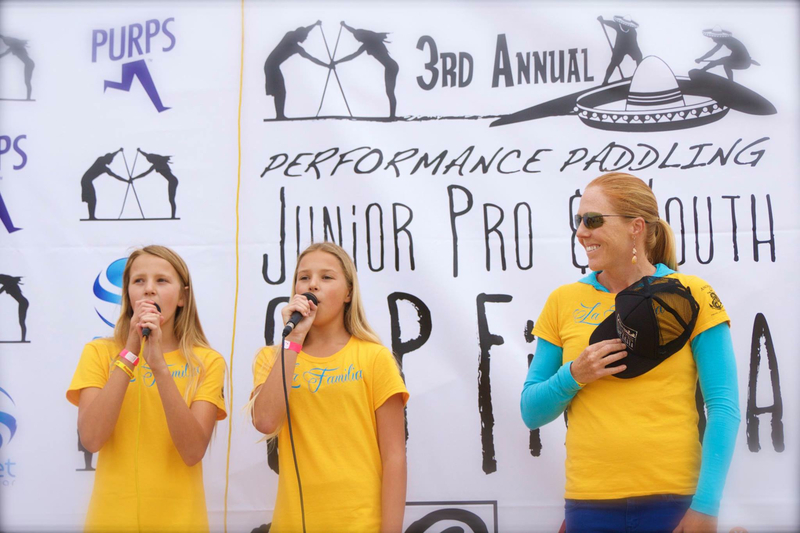 A heart-warming duet from the twins set the tone for the day’s festivities. 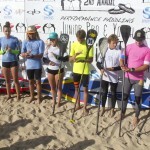 The stage was set once again, to kick off the day of competition with seven age group heats of sup surf racing. 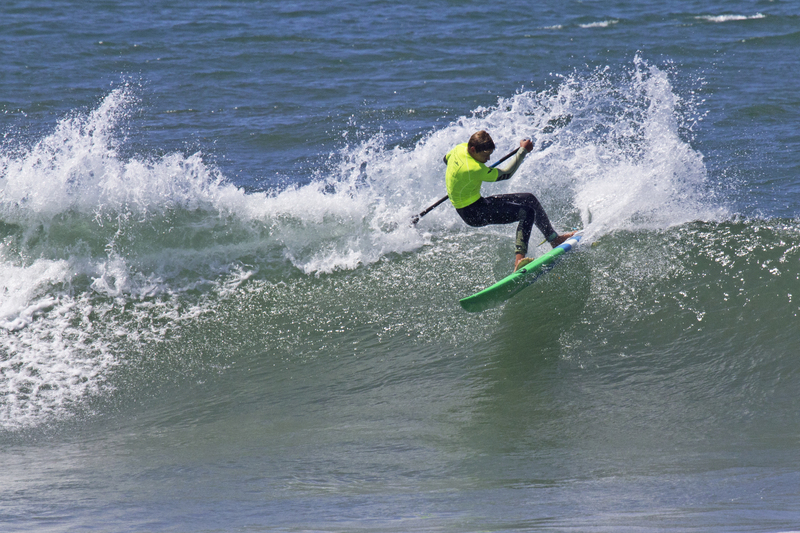 Bolsa Chica was serving up some challenging 2-4’+ waves for the competitors, but that did not stop each and every heat from charging in and out of the surf. 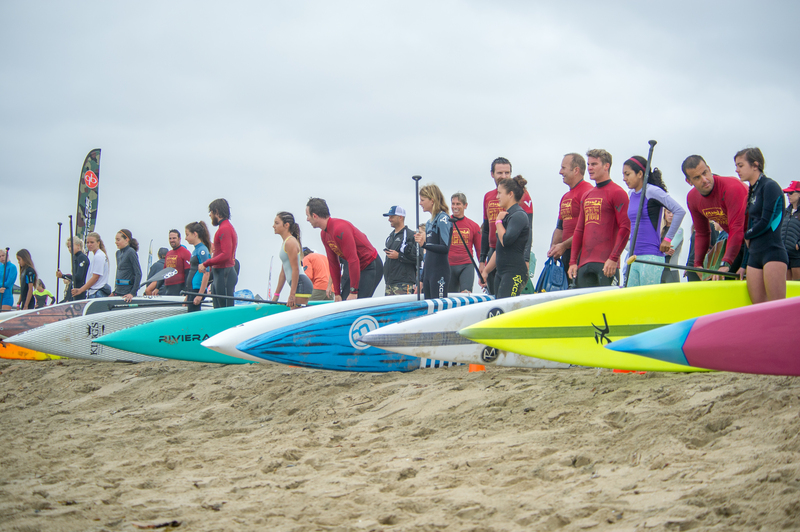 To ensure the highest level of safety, Performance Paddling’s Candice and Anthony deployed an army of skilled ocean athletes, to make up the 1:1 ration of Water Patrolmen per competitor. 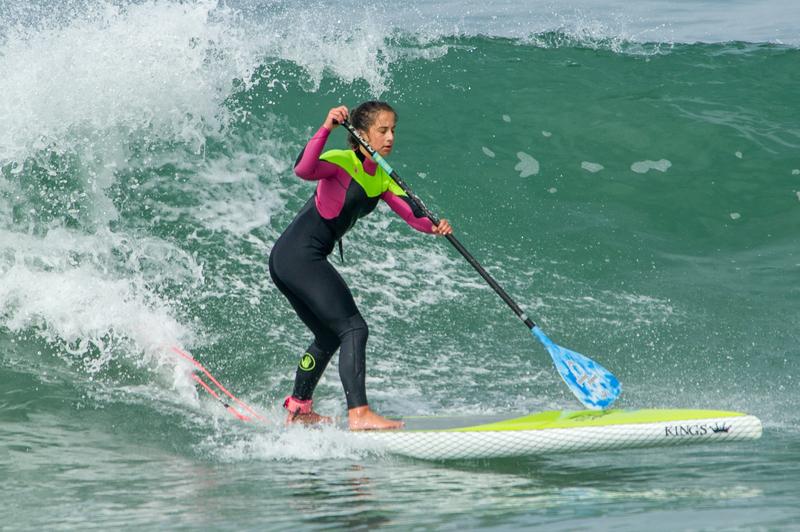 In its third year, the level of skill displayed by each athlete continued to show dramatic improvement, as is true every year at SupFiesta. 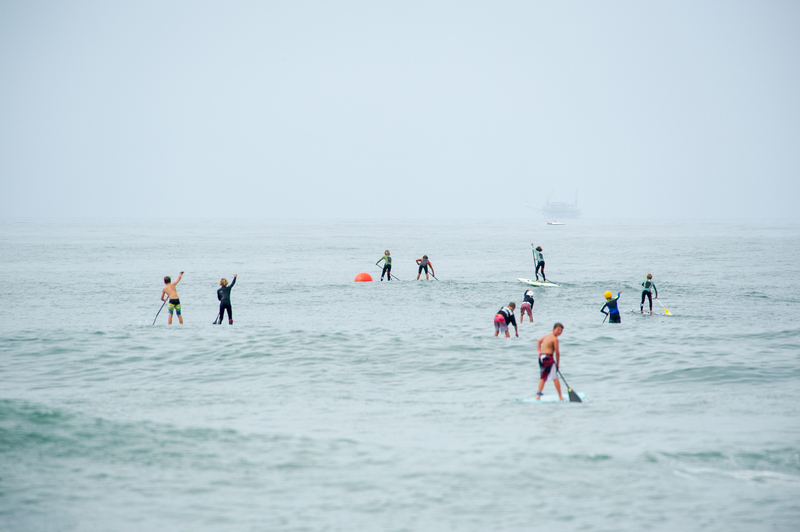 As with any surf race event, there were plenty of lead changes and lots of “oooo’s” and “ahhhh’s from the crowd. 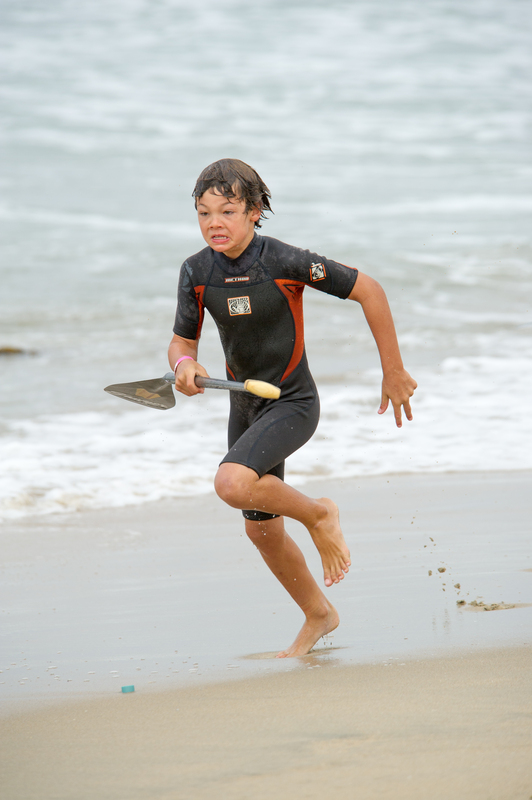 Watching the look of determination on the kid’s faces as they sprinted to the finish was nothing short of sensational. 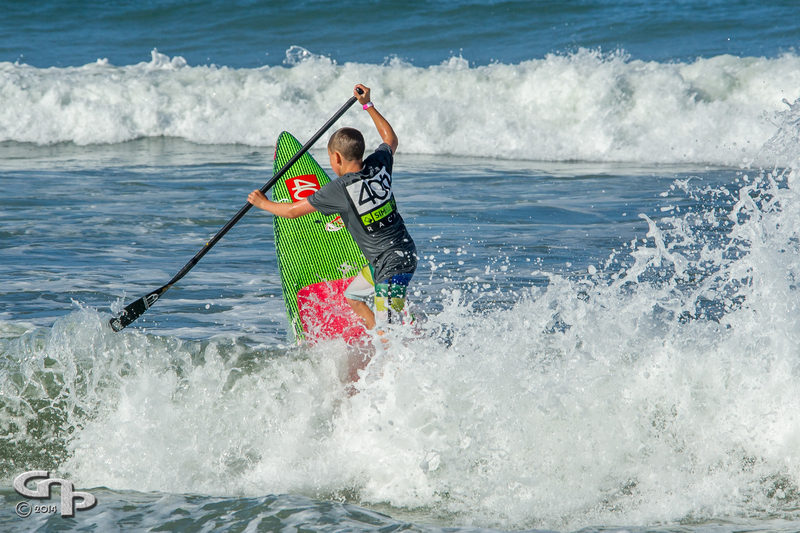 In the last race heat of the day 7-year-old Trevor Mencinsky took on Zane Schweitzer in a head to head duel. 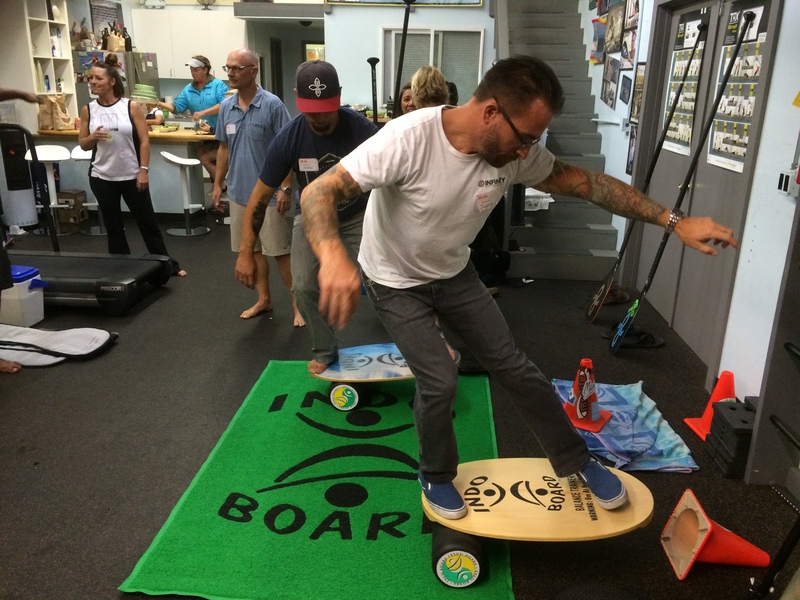 Watching the footwork and board skills of Trevor brought the crowd to its feet. 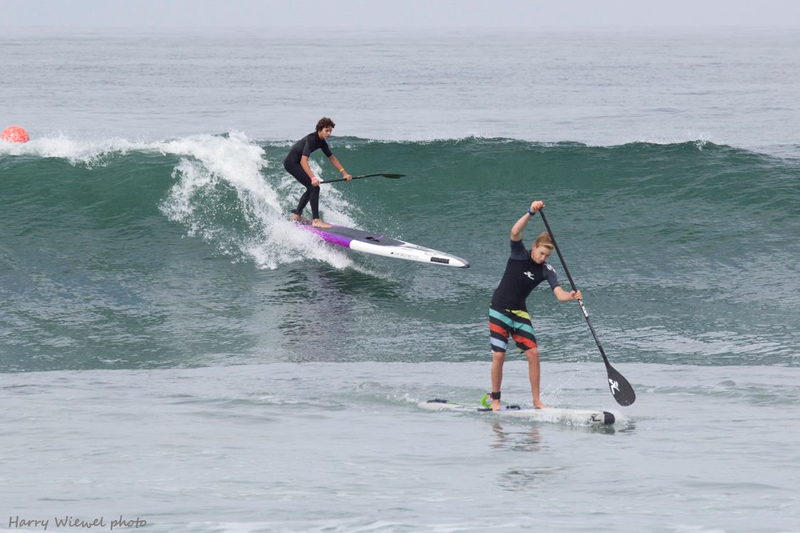 After making their way through the surf, around the buoys, and back to the beach it was another close race, but Trevor out ran Zane to take the win. 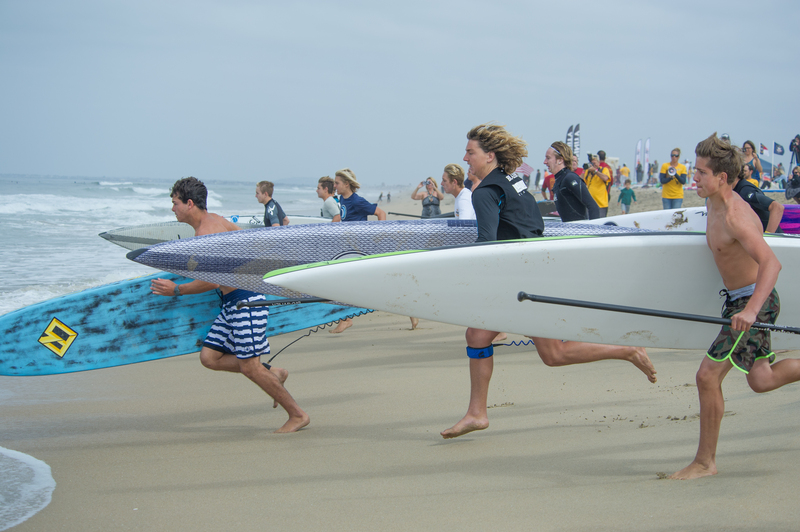 The race start and finish lines were then put away, and the first heat of the Junior Pro sup surf division was in the water. 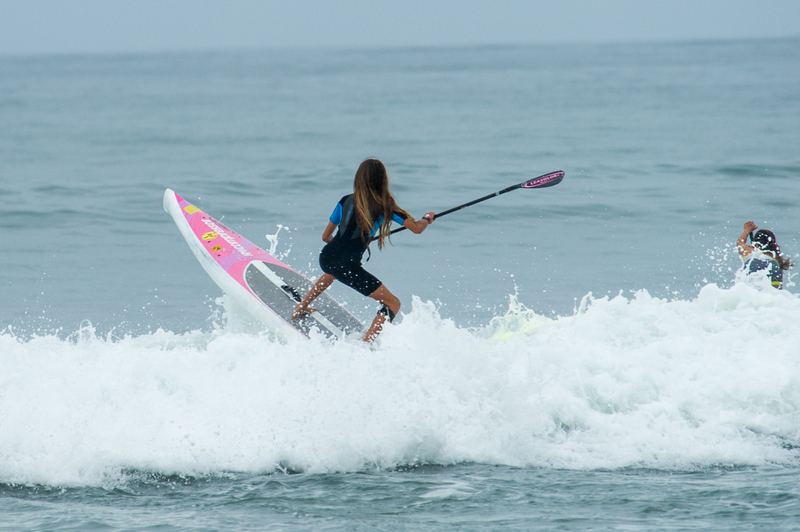 Eight of the top male and female sup surfers in the world, under 18, began their quest for the coveted “El Sombrero Grande” and their share of a $5000 prize purse. 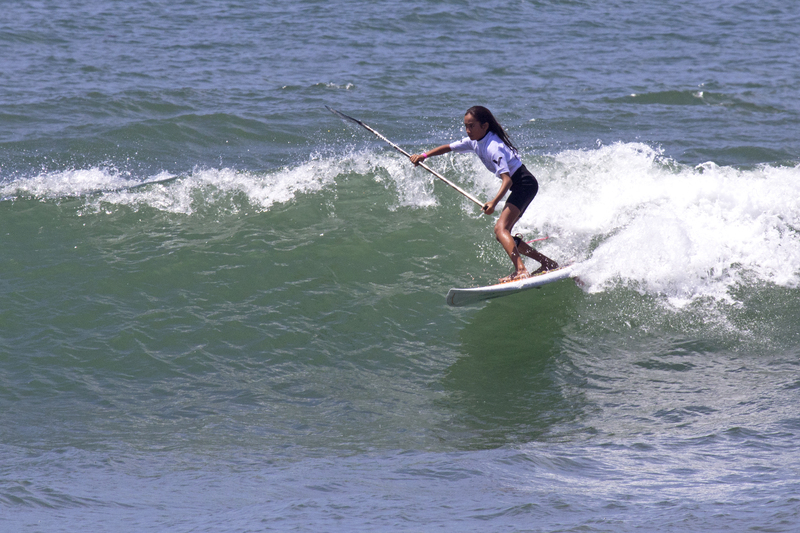 The SupFiesta is not only the world’s only Jr Pro Sup Surfing contest, but also the only sup surfing event that offers equal gender prize money. 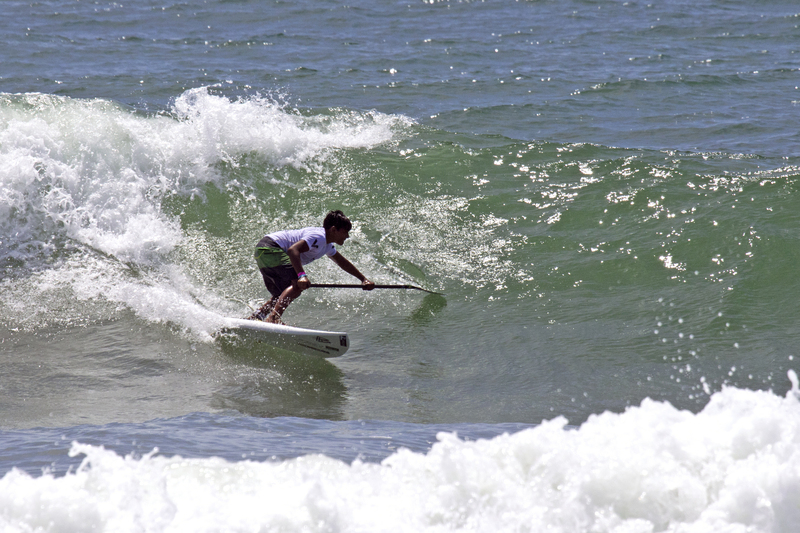 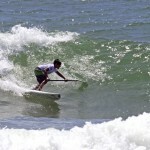 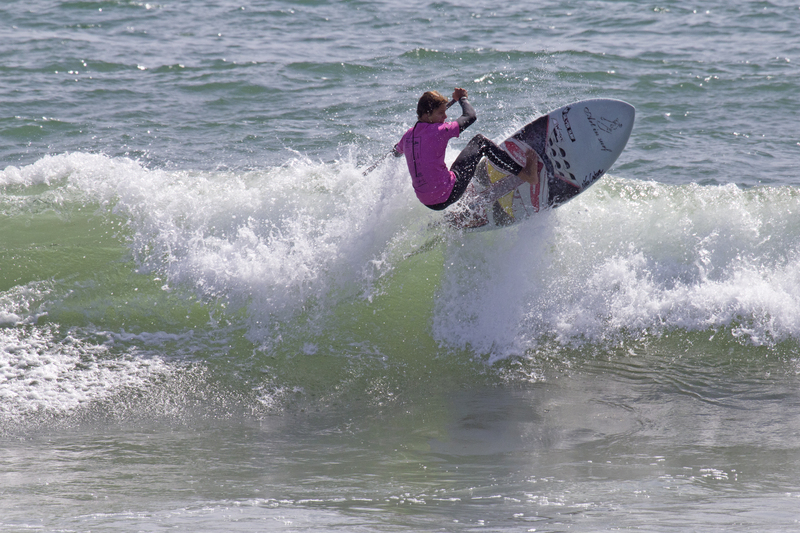 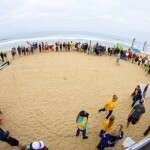 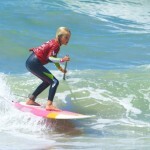 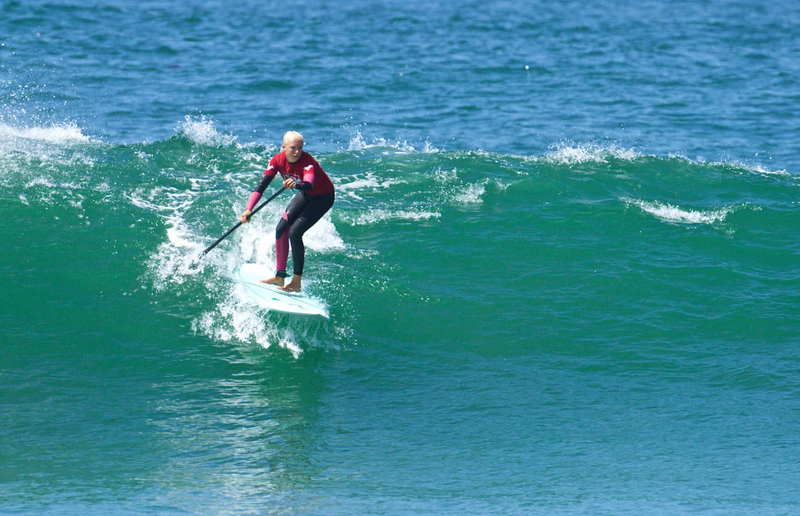 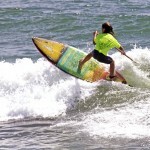 Along with the Jr Pro division, there were seven age group divisions of sup surfing. 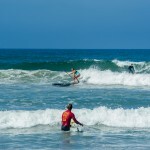 The beautiful morning offshore conditions changed to a blistering afternoon onshore wind, and the kids continued to impress the entire beach. 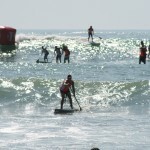 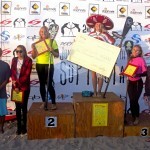 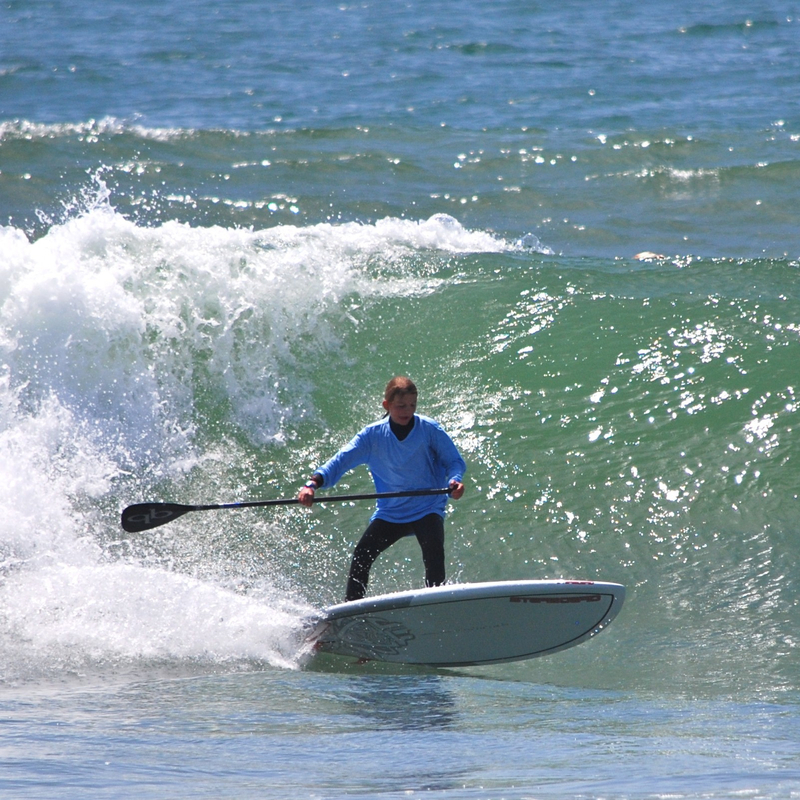 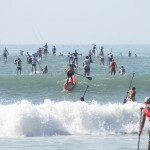 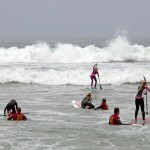 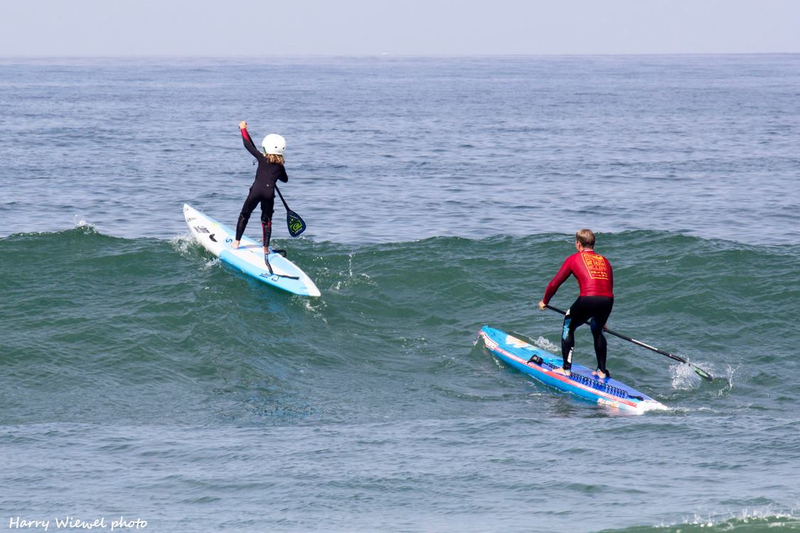 For many, the SupFiesta was their 1st sup surf contest. 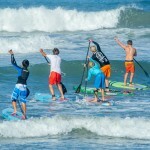 There are many races in existence, but very few sup surfing competitions. 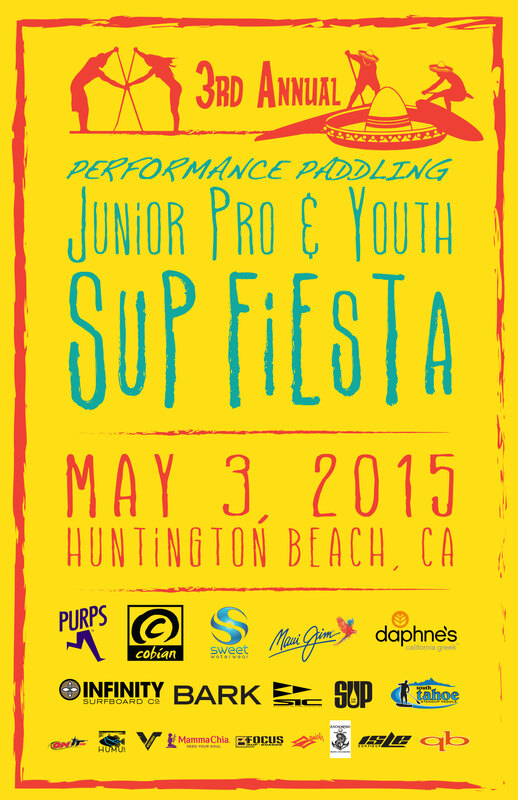 In fact, the SupFiesta is the only event that is entirely devoted to the youth. 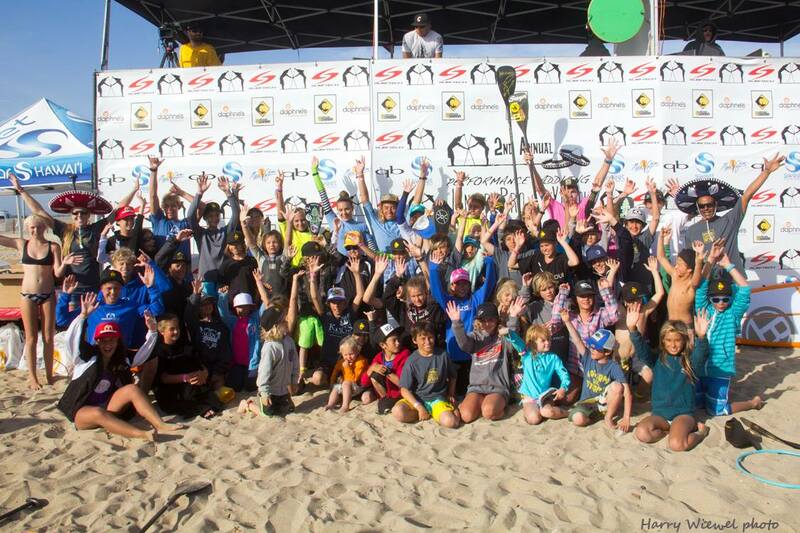 No adults, just kids competing against kids, on a world-class stage. 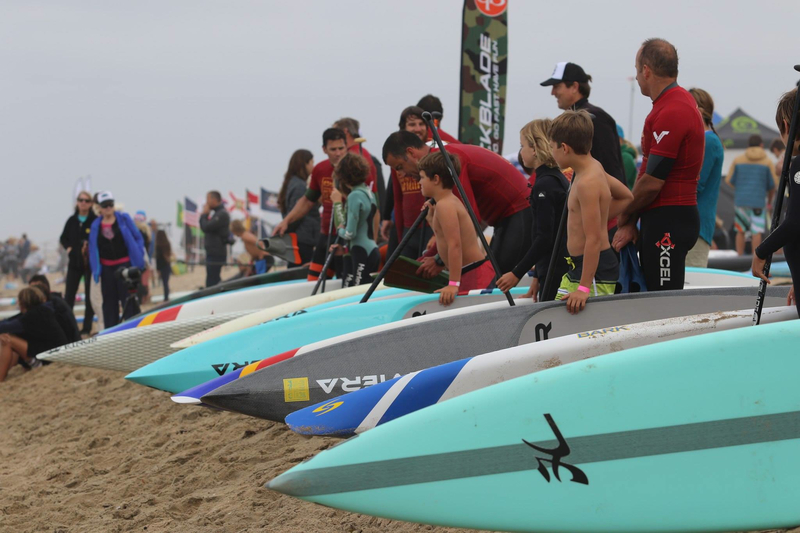 Professional judges, announcers, and even an athlete VIP area for them to rehydrate, have snacks, and just be kids (no parents allowed). 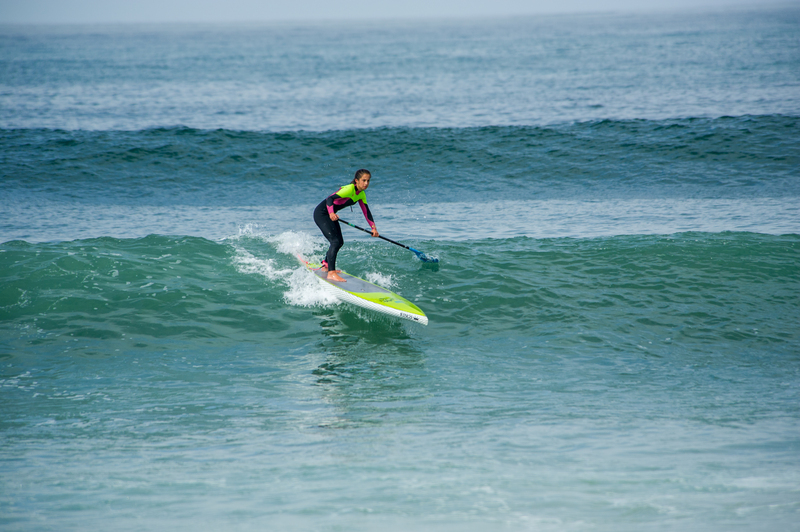 Mo Freitas, who has attended events all over the world had this to say about the SupFiesta, “Best event in my eyes because you really see the future rippers take on the jersey and see how much they charge. 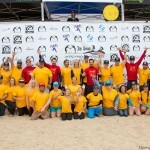 Aloha to all the supporters & sponsors who help make it happen”. 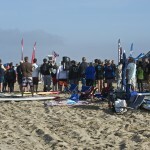 After the last heat was finished the crowd gathered for the award ceremony. 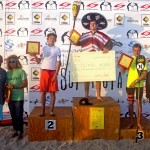 The first year of the event the winners of the Junior Pro division were awarded authentic Mexican sombreros, the next year it was decided to award the winners of every age group division smaller sombreros to highlight the Fiesta theme. 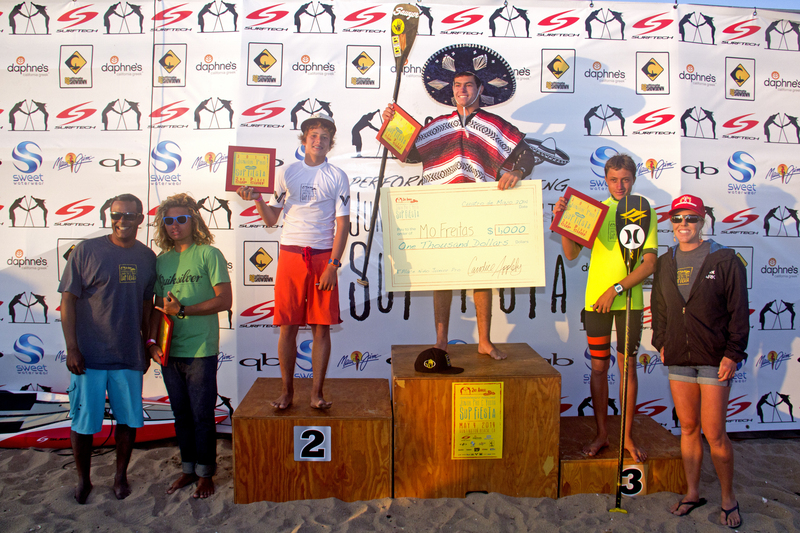 Once again the Junior Pro champions were crowned with “El Sombrero Grande” and Mexican ponchos, to go along with their giant checks. 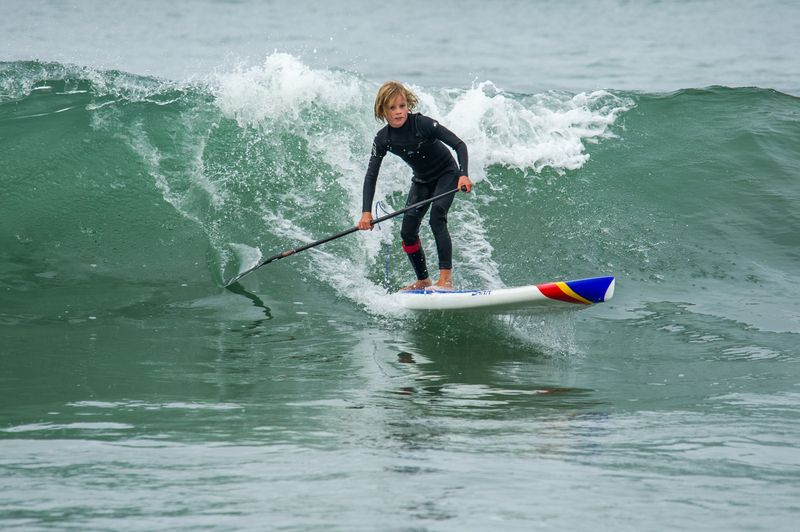 Every year there are also a multitude of special awards were also awarded including: Sportsmanship, Academic Excellence & Improvement, Radical Maneuver, and Breakthrough Performance. 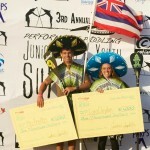 Candice and Anthony would like to give special thanks to everyone who helped make the event a success. 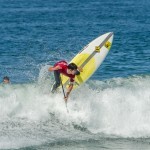 Many of the sports top pros are surprised each year with the level of professionalism in the event execution. 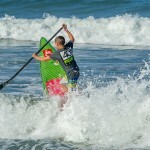 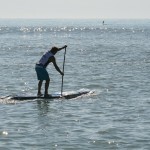 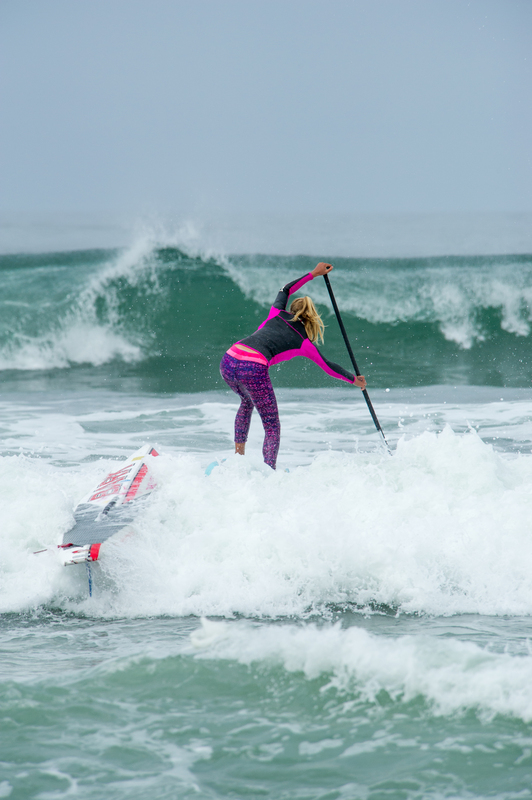 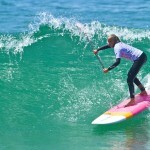 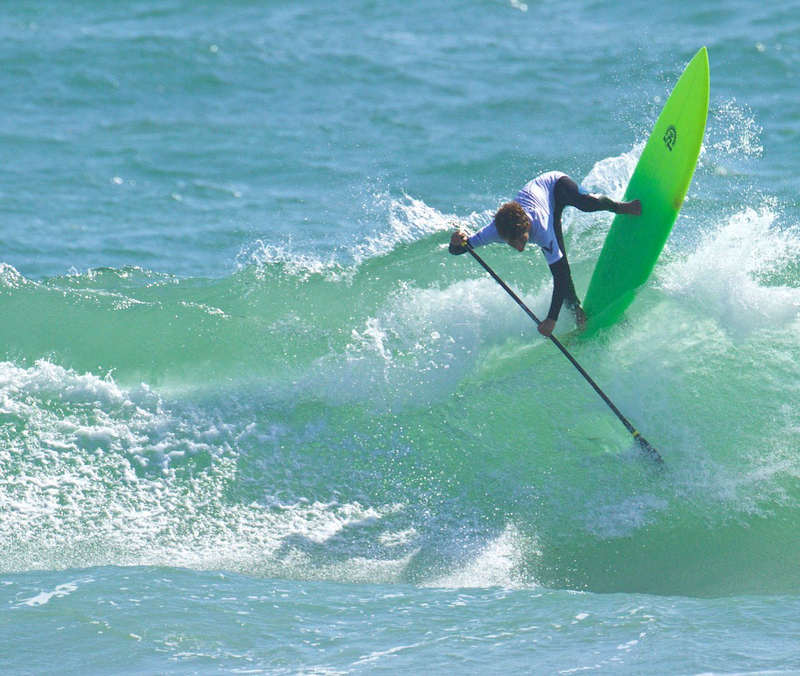 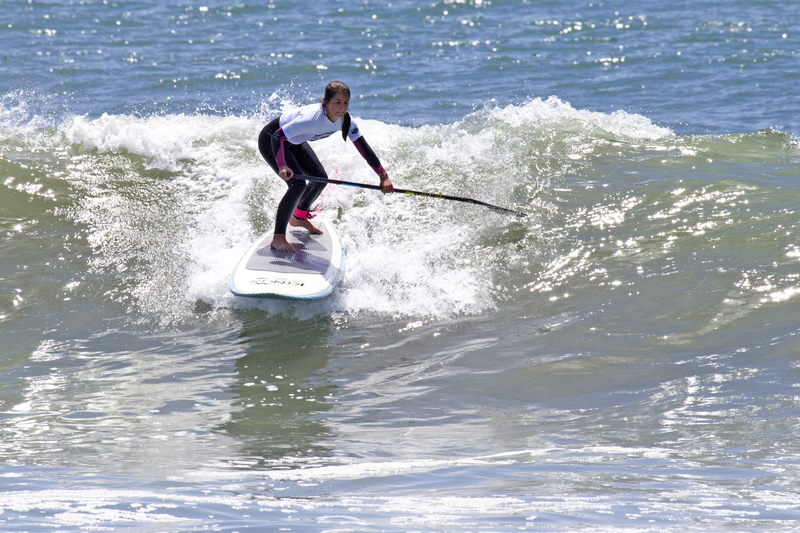 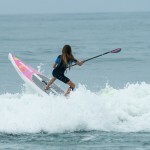 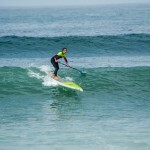 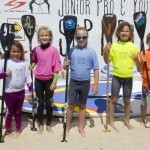 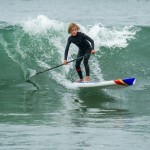 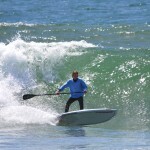 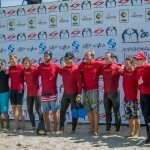 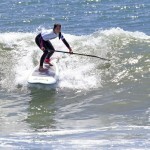 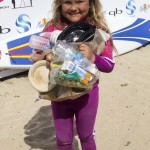 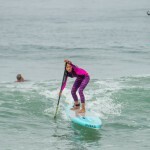 “The SUP fiesta continues to be the premiere Junior’s event in the world. 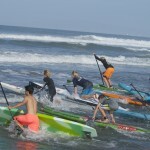 What an opportunity and platform to showcase the best young paddlers in the world. 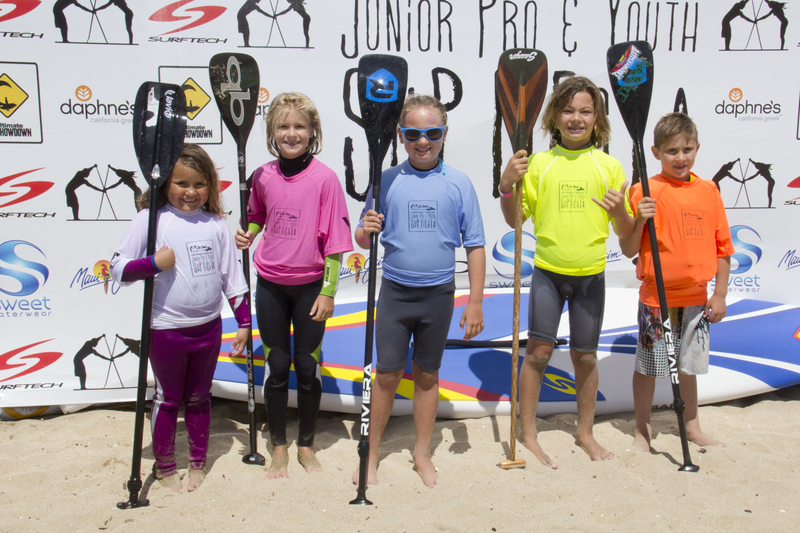 The kids were stoked and took full advantage by putting on a great show on the center stage”, says Professional Sup Athlete, Dave Boehne. 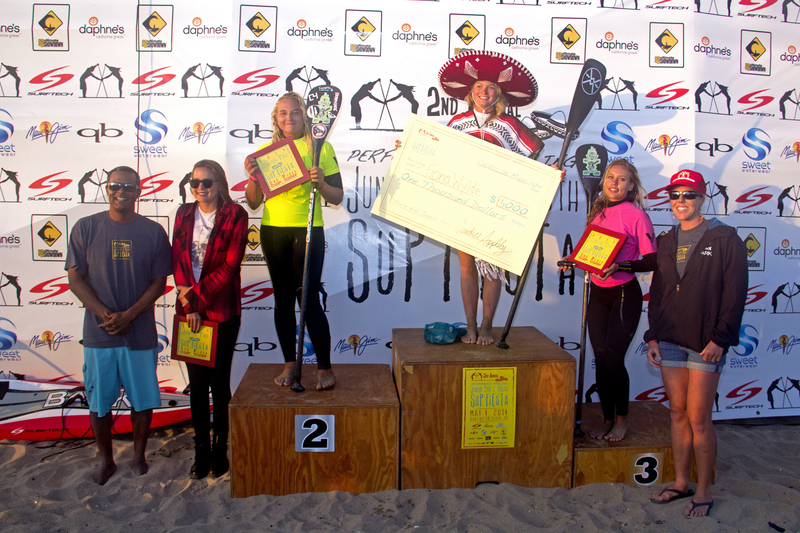 See everyone next year for #SupFiesta16. 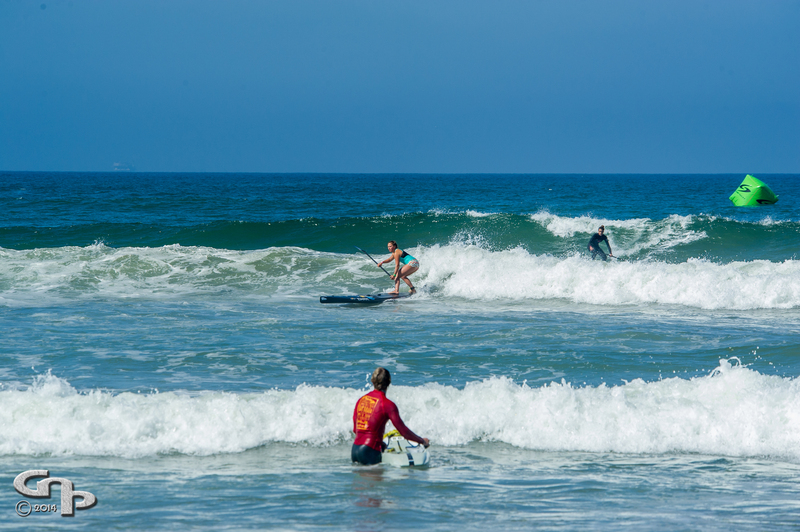 Sunday May 2, 2016! 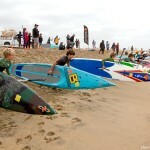 Onit Pro, Naish, Quickblade, Victory Koredry, Mamma Chia, Anchorfish Printing, Humu Surf Co, Isle Surf & Sup. 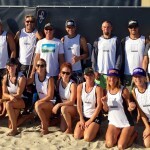 La Familia & Crew: Karl & Lynelle Ring, Mama C, Kristin Thomas, Susie Kiley, Mike Mauri, Loraine Grueber, Maggie Adams, Mel & Jack Wygal, Diane Wenzel, Morgan Hoesterey, Ryan & Matt Kynsh, Brent Pascoe, Dave Boehne, Zane Schweitzer, Mary & Jerry Jarramillo, Pat Higginson, Harry Weiwel, Chris Aguilar, Greg Mendonca, Jeff Vasquez, Mike Muir, Jeff Warner, Bob & Michelle Goosen, Winston Sam, Chris Sinatra, Jen & Scott Cuda, Mark & Pam Brown, Constance & Elise Brown. 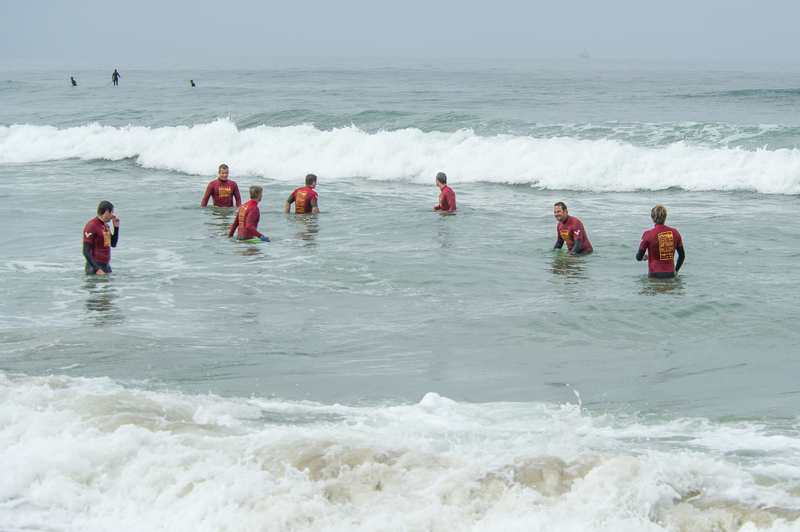 Water Patrol: Zane Schweitzer, Colin McPhillips, Rob Rojas, Seth Springer, Scott Cuda, Candice Appleby, John Alexiou, Ryan Kynsh, Les Hopper, Caleb Havens, Jack Wygal. 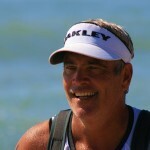 Also, thanks to the Schweitzer Family, Judie & Rob Vivian, for their continued support. 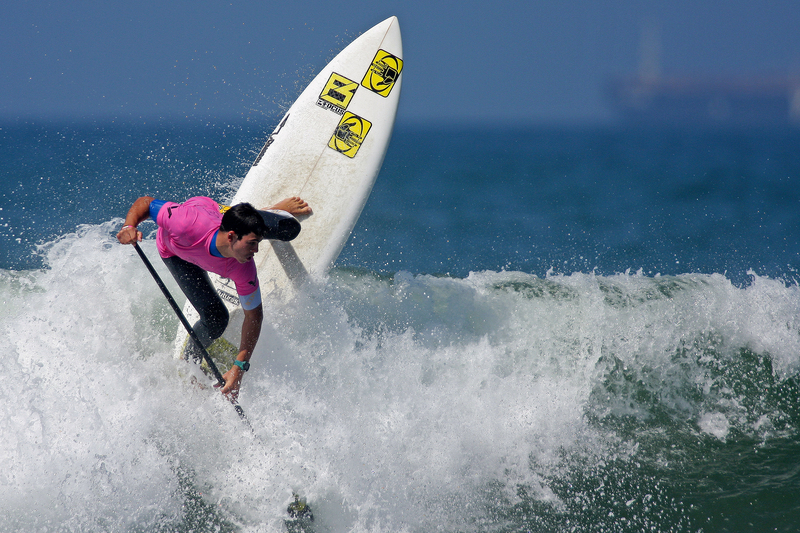 The world’s top young standup paddle athletes are coming to Huntington Beach, California for the sport’s most prestigious youth event. 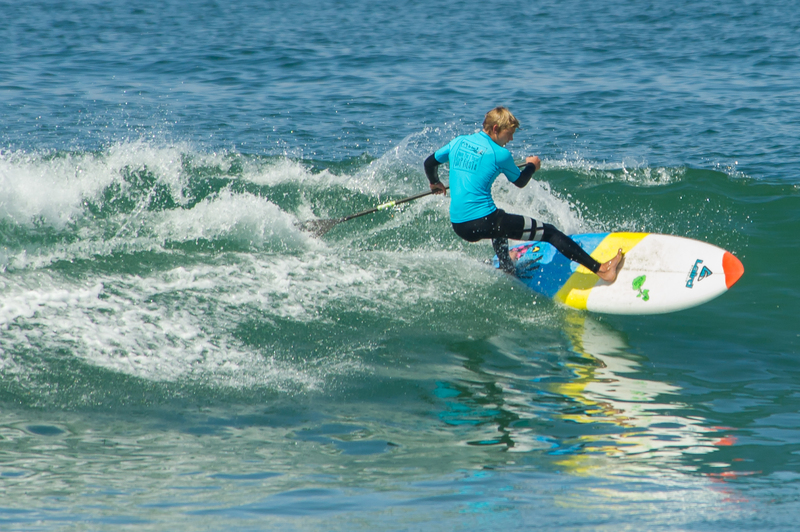 With seven divisions of age group surf racing, seven divisions of age group sup surfing, and the Junior Pro Invitation sup surfing contest, it is going to be an action packed day of competition. 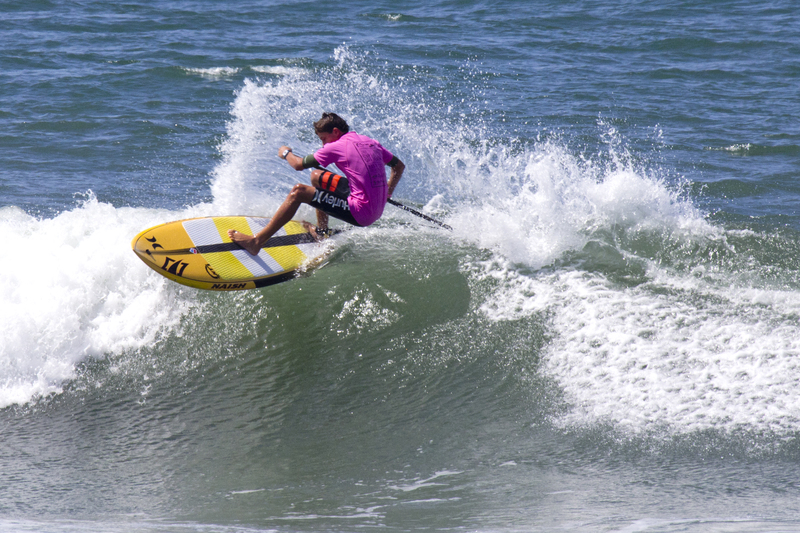 In the world’s only “Junior Pro” contest, 8 male and 8 female athletes will be vying for not only for a $5000 equal gender prize purse, but also “El Sombrero Grande”, the coveted award for the 1st place male and 1st place female winners. 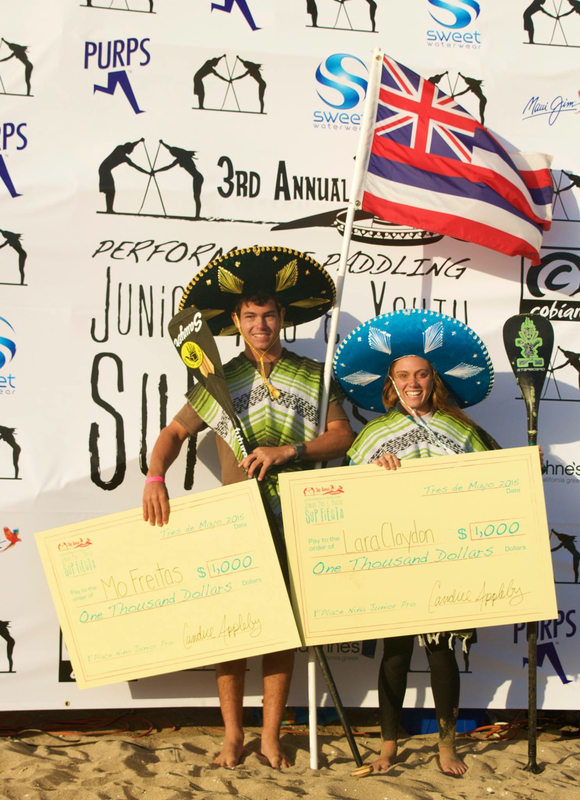 Past winners of “El Sombrero” include: 2013 champions Noah Yap (Maui) and Vanina Walsh (Oahu), 2014 champions Mo Freitas (Oahu) and Fiona Wylde (Oregon). 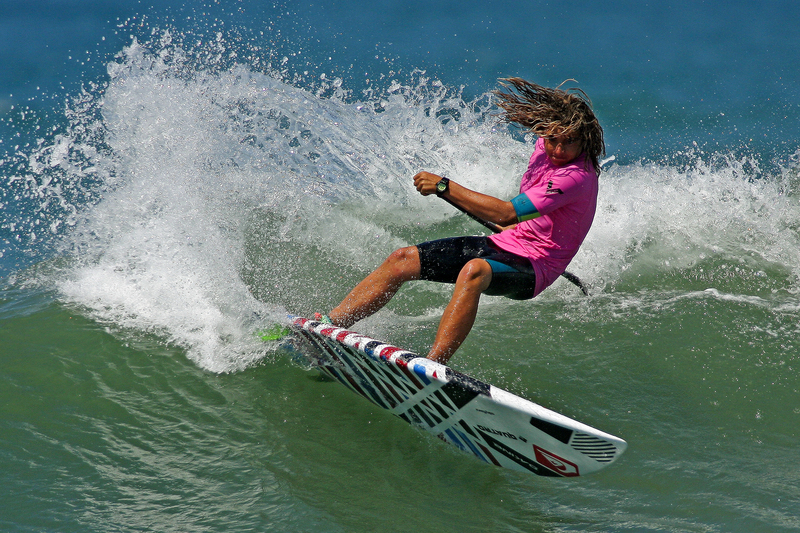 Some of the events alumni include rising stars such as: Yuri Daberkow (Brazil), Natalia Smith (Kauai), Fisher Grant (Florida), Giorgio Gomez (Florida), Ridge Lenny (Maui), Bernd Roediger (Maui), Kristi Paige (Australia), Riggs Napoleon (Oahu). 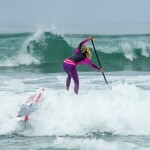 Watching the skill of these amazing sup athletes is simply incredible. 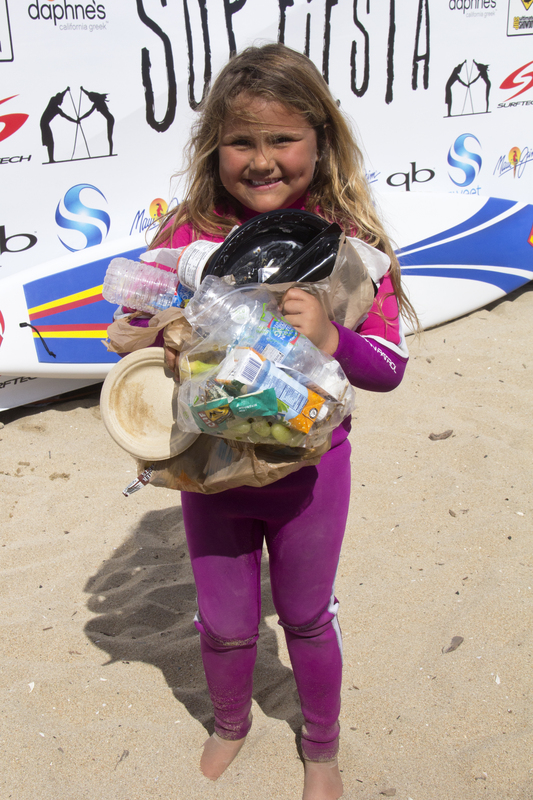 Not only are the “Youth Inspiring Youth,” but they are also inspiring most of the adults in the crowd. 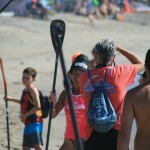 Adult Sup Pro Jeramie Vaine explains, “This event showed us what the sport of SUP is all about. 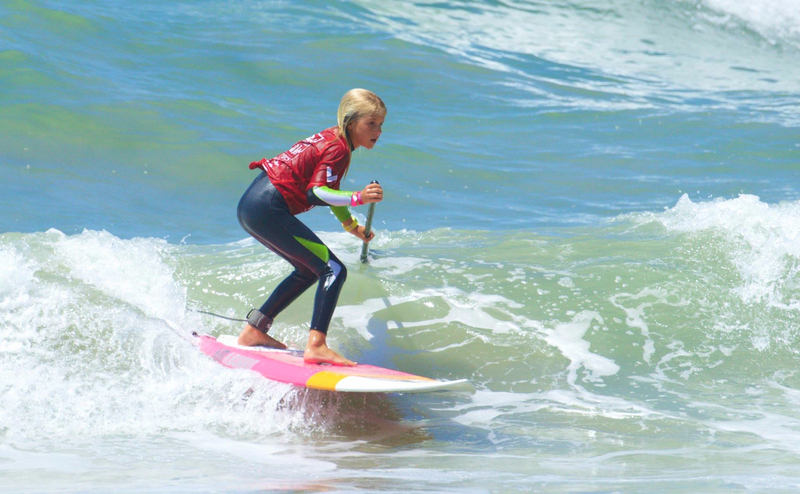 The groms were rockstars and are an inspiration to all of us!” If you live anywhere near Orange County come and watch the future of our sport. 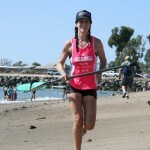 If you can’t make it in person check out Performance Paddling’s social media pages and follow the action. 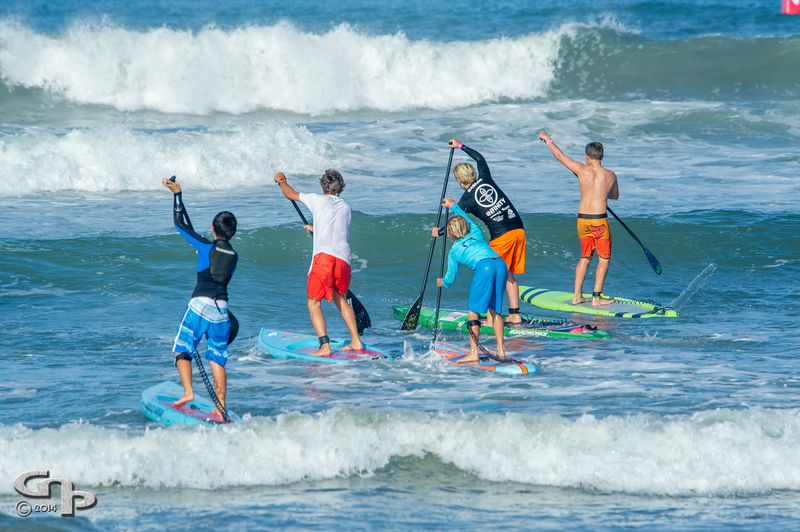 The event hashtag is #SupFiesta15. 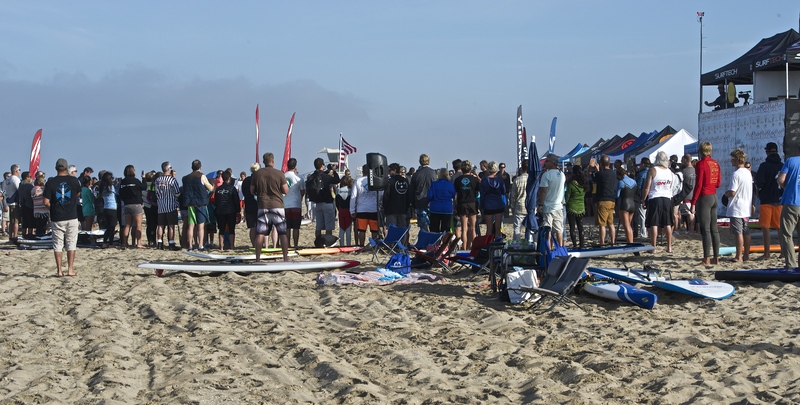 There will be live updates posted regularly on Twitter, Instagram, and Facebook. 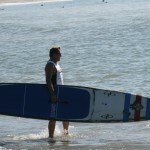 Be sure to follow and engage in the action. 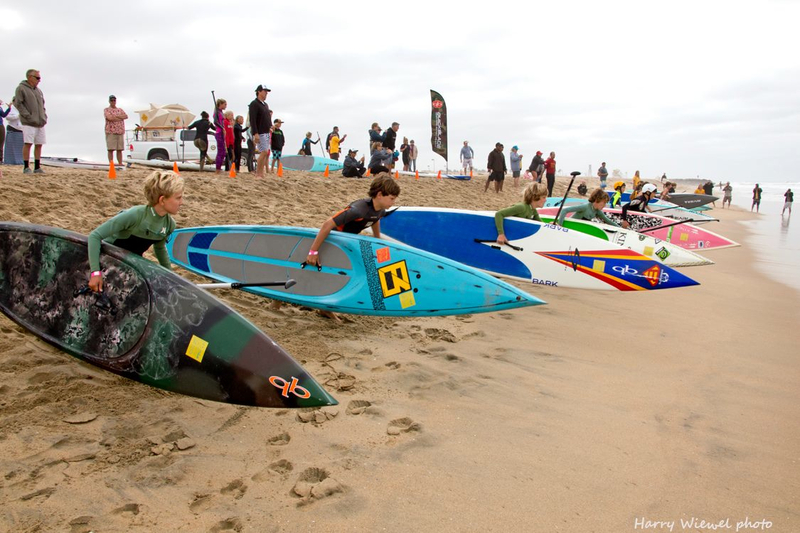 The event has some fantastic support from some of the industries leading board manufactures like Infinity, Bark, Naish, SIC, and Focus SUP. 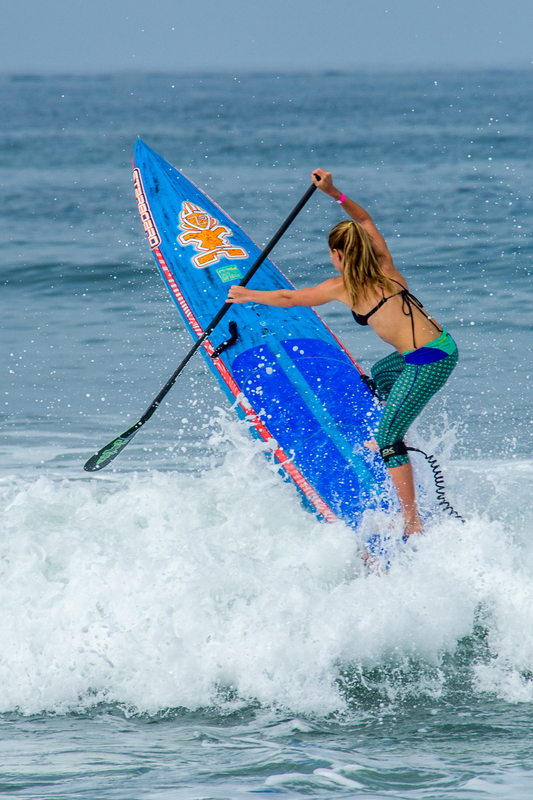 Also a few out of industry sponsors are supporting this one of a kind event like Purps, Maui Jim, Daphne’s, Cobian and Mamma Chia. 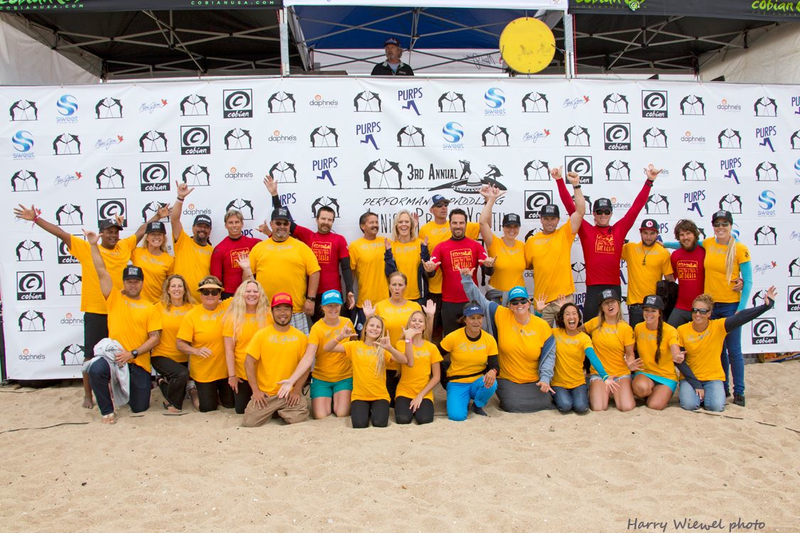 The SupFiesta crew would like to give special thanks to companies who have supported the event for each of its three years of existence: Sweet Watewear, Maui Jim, Infinity, SuptheMag, Onit Pro, Quickblade, Victory Koredry, and Bark. 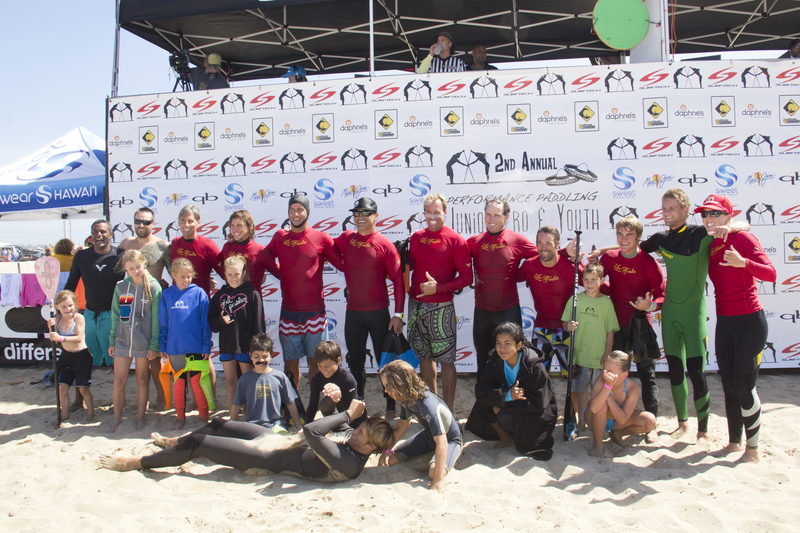 Big thanks to all of our event sponsors: Maui Jim, Sweet Waterwear, Purps, Cobian, Daphne’s California Greek, Infinity, Bark, SIC, SuptheMag, South Tahoe Standup Paddle, Onit Pro, Victory, Mamma Chia, Humu Surf Co., Focus SUP, Quickblade, Anchorfish Screenprinting, Naish, Isle Surf & Sup, Pualani Hawaii, Hurley, FCS, Clif Bar, and Vita Coco. 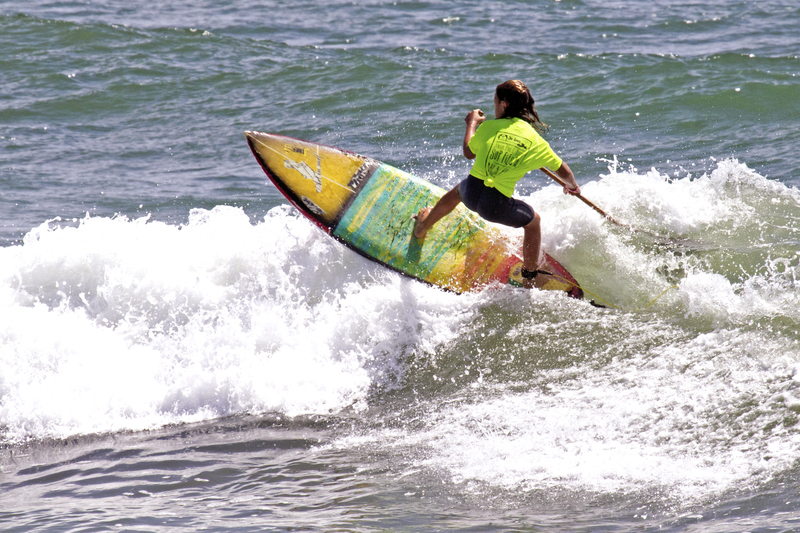 In its 3rd year, the “Supfiesta” has become the most prestigious youth event of the year. 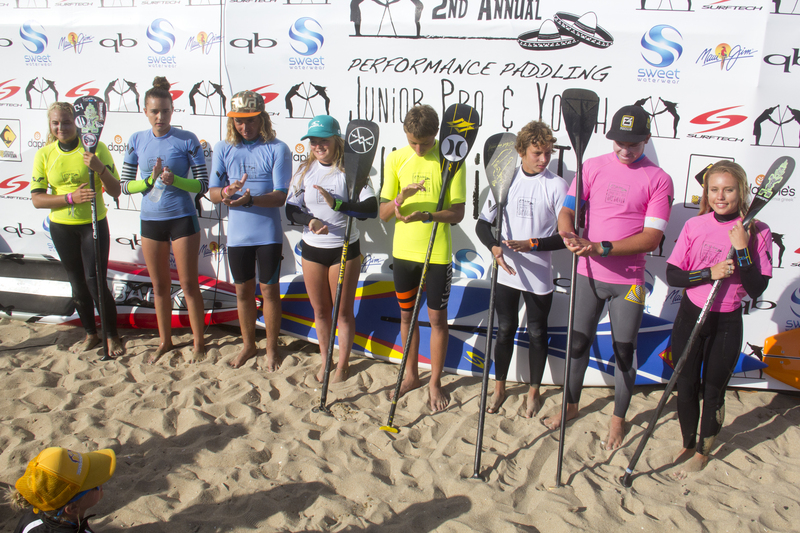 The top youth SUP athletes in the world will compete in Huntington Beach, California on Sunday, May 3, 2015. 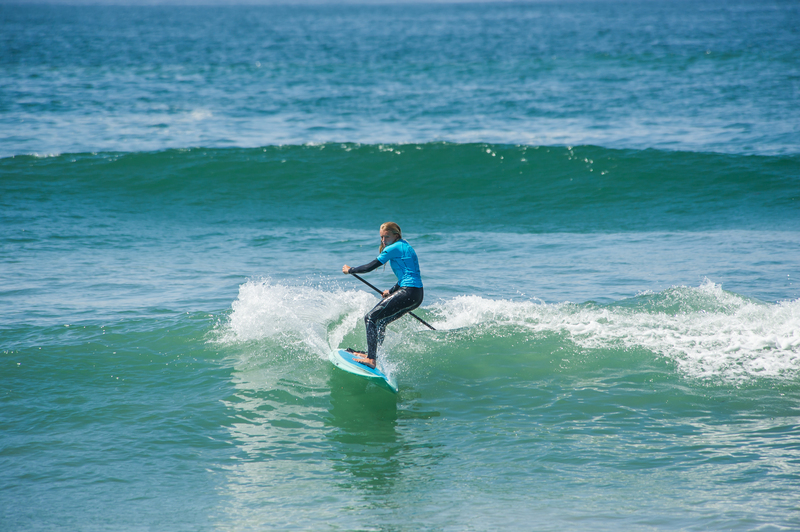 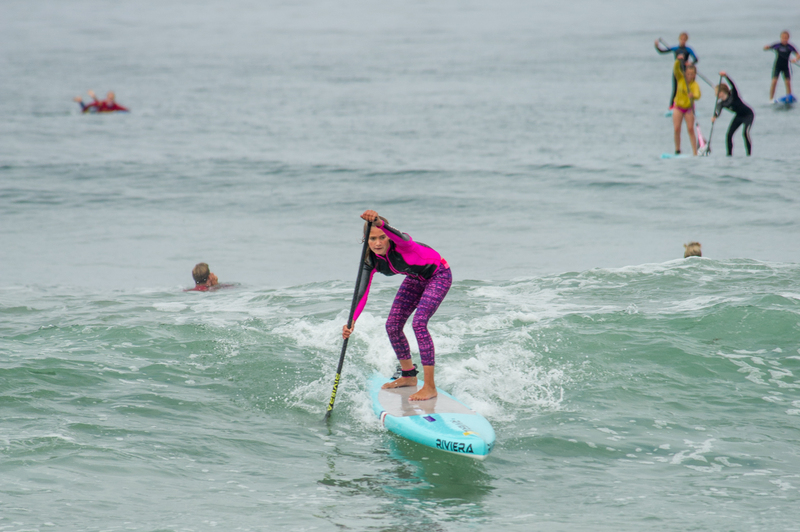 The 3rd annual event offers seven divisions of age group SUP Surfing and Racing as well as a Junior Pro Invitational SUP Surfing contest with $5,000 in equal gender prize money. 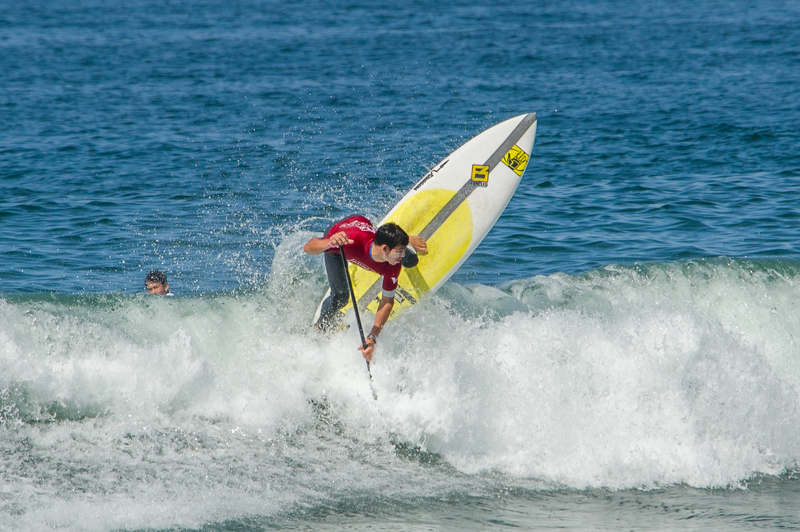 Last year’s event attracted over 80 participants from 7 different states, including Hawaii, Florida, Arizona, Utah, North Carolina, Oregon, Florida and 3 competitors from Brazil. 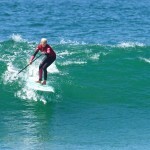 But, it’s not just about the sup surfing. 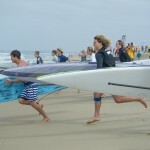 The quick, through the surf, sprint races offer plenty of excitement. 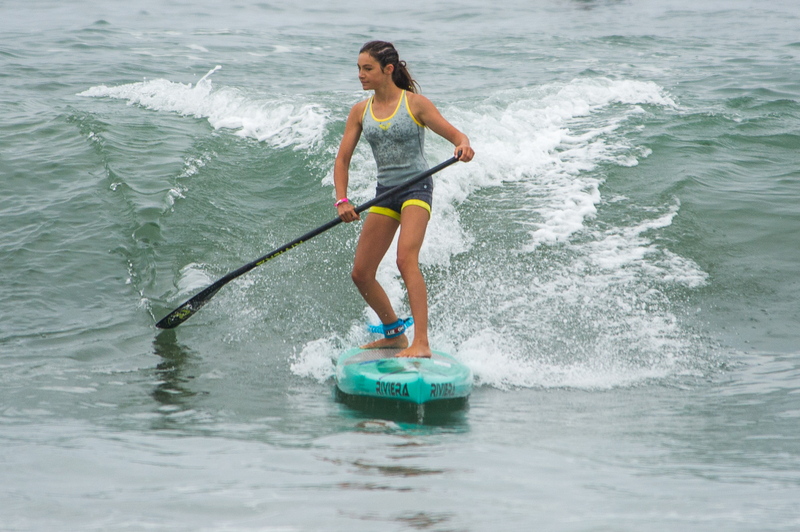 Some of the top sup racers will be on hand such as, Shae Foudy, Erika Benitez, Tyler Bashor, Lexi Alston, Josiah Brackett, and Brazilian Guilherme Cunha, just to name a few. 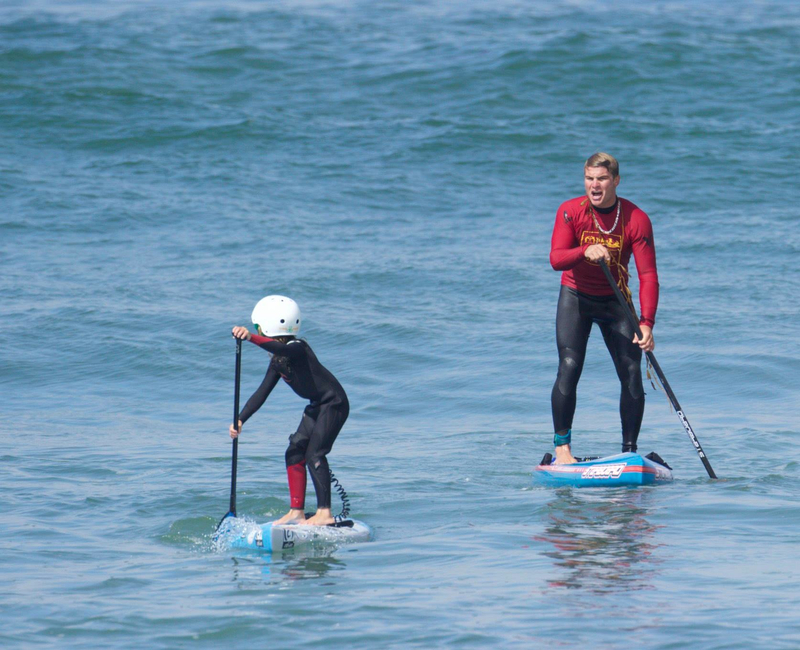 Race Boards must be 11’ in length or shorter for the 8 & under as well as 9-11 boys and girls age groups. 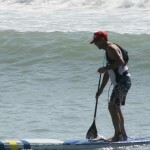 Leashes are required for all competitors. 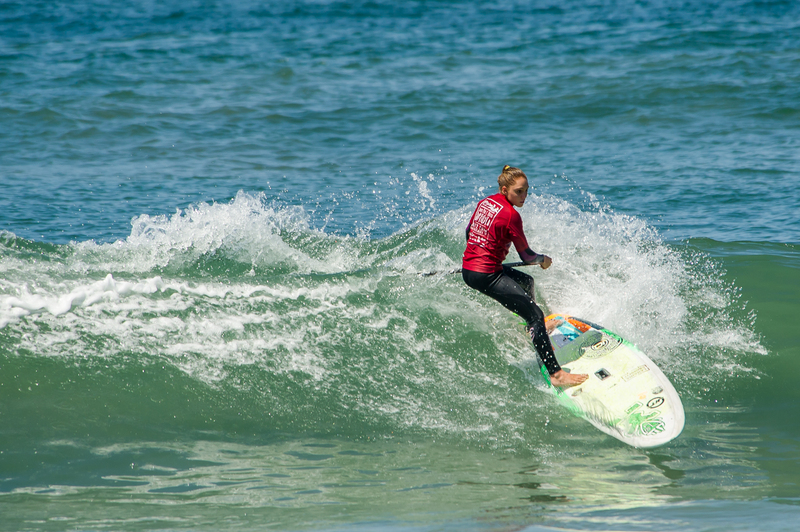 As always, some of the sports top pros will be on hand to cheer on the groms, and to help with water safety.